Home > Special Report > Expiry Dates on Tirupati Laddus? Who hasn’t heard about the laddus of Tirupati which are served as prasadam in the famous hill shrine of Lord Venkateshwara? Being one of its kinds, the delicious mouthwatering laddus have made themselves famous globally. Undoubtedly they are as famous as the temple and the Lord Sri Venkateswara Swami Himself. There is no wonder if the title of this article leaves the reader in a state of surprise. In an age of technology and information boom where we check everything in every aspect, how did the concept of the expiry date for Tirupati laddus has not come under the radar of rational mind? Is it overshadowed by the faith or a smart negligence to keep our stand safe and avoid the issue considering its religious sensitivity? Whatever be the reason, the question of quality of Tirupati laddus has resurfaced again and it seems to be quite serious this time. Tirupati laddus have always been making news for one or the other reasons. It also needs to be mentioned that apart from the fame of its delicious taste, the laddus have come under the radar of enthusiasts about its preparation. And certainly, this is not the first time. Despite it being one of the most famous and richest temples of the globe, issues like hygiene, safety and sanitation have always been scrutinized by the people and organizations. 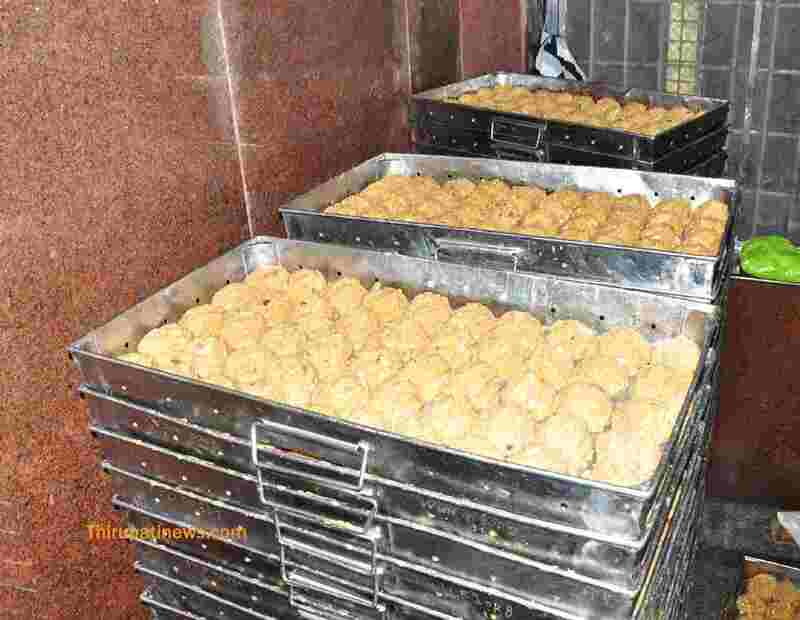 The video which shows the preparation of laddus in Tirupati has gone viral through YouTube and social media and the skepticism about the standards of hygiene and quality has stirred not only the worshippers but also the temple management due to the public outcry. Tirupati Laddoo. Photo courtesy : Jaya Sekhar. Being in an age of technology and awareness we have always been told to be careful about the quality of food. We have been informed by various sources to check the necessary data like date of manufacturing, expiry dates, the list of ingredients used for the specific item and what not. From time to time the Governments have raised the questions about quality standards, hygiene and safety standards of food being sold in markets and has banned such products which did not meet the safety regulations and standards set by the authorities. But surprisingly the rules appears to be foreign for the world of Tirupati laddus. It is estimated that nearly one lakh pilgrims visit the shrine of Lord Sri Venkateswara per day and even if we consider the probability of one laddu per person, it is evident that the temple management is making huge money as the laddus are being sold in different types and prices. It is also to be noted that the number goes to higher side on special religious occasions. Despite such massive numbers in terms of distribution, not all the laddus come in sealed packs and there is no information at all about the manufactured date or expiry dates. If anything goes wrong, the person who has consumed cannot even go to consumers’ court as the laddus come with no bills, as the proof of purchase. If it is all about the taste and appearance and nothing about the quality standards, are they really safe to eat? But the question is at what cost. It seems like the worshippers have to rely on Lord Venkateswara even in this case. The exposed videos have also been uncovered several bitter truths. The kitchen staff is seen to be wearing no hand-gloves, apron, caps, footwear and related necessary outfit components to maintain hygiene or safety standards. Rather they are semi-naked, wearing traditional naamas on their chest, arms, forehead, shoulders, and throat, with long hair without anything to cover, drenched with sweat, dealing with the ingredients with bare hands. Being semi-naked, neither cleanliness nor the discipline can be seen as far as the clothes of the kitchen staff are concerned. The exposed conditions of Pottu (kitchen of Tirupati) has left the jaws of worshippers and pilgrims dropped worldwide. In addition, the public outcry has also been huge when the things like iron bolts, glass pieces, gutka sachets, hair lumps, plastic materials and key chains were found in Thirupathi laddus. These objects have made it crystal clear that there is an immediate need to look into the methodology as far as the preparation of laddus is concerned. 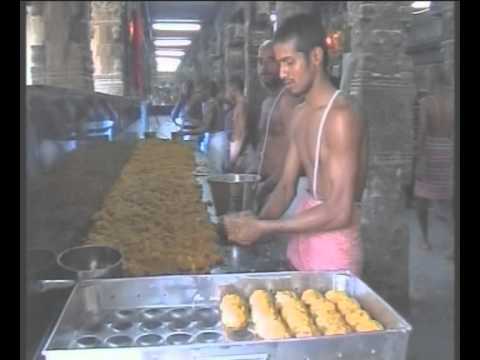 Tirumala Tirupati Devasthanams (TTD), the trust which operates and manages the temple has always stood on the defensive mode telling that the prasadam is first given to God and hence there is no question on compromising with the quality of laddus. In several public statements, the spokesperson of TTD has reassured the public that the trust is taking care of all the standards of safety, purity and hygiene and the management rules on these aspects are also applicable to the vendors who are involved in the same. Despite all such assurances and defensive statements by TTD, the laddus have made more news by several unusual appearances of foreign objects in them. Several review meetings have been conducted among TTD, Potu officials and workers and food regulators till date. But surprisingly nothing remarkable has been achieved about the same. The questions are not only with laddus but also about the entire system of storage, maintenance, and management. It is also seen that laddus are stored in unscientifically, keeping them piled up and open without any cover at storage center and counters. After a detailed analysis and compilation of documentary evidence, Bangalore-based activist Narasimha Murthy has raised several questions about the entire system of laddu preparation at Tirupati. The list also includes important factors like trade licenses and the periodic payment of taxes by TTD. Mr. Murthy has also put forward concerns about the absence of periodic inspections by the inspectors of Food Safety and Standards Authority of India (FSSAI) and the issuance of necessary certificates. The demand has been kept to standardize the process of preparing prasadam to ensure safety and hygiene by adhering to the provisions of the FSSAI Acts. And the emphasis has been given by Mr. Murthy to build a systematic transparent mechanism involving the food regulators, temple trust and Association of Food Scientists and Technologists of India to establish a high standard of safety and hygiene to maintain the same. It is estimated that the Lord Venkateswara Swami temple is achieving an annual turnover of nearly 1500 crore rupees. The temple trust (TTD) has reached several milestones in its journey and has even patented Tirupati laddus under Geographical Indication (GI) patent rights. Yet, it seems like a long way to go. Being one of its own kind for its uniqueness, there is an immediate need for TTD to adopt the safety standards to avoid poor quality maintenance and thereby damaging the reputation. 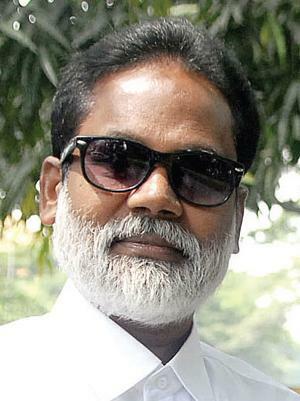 Murthy wrote several letters to the food safety authorities but never got any reply from the watchdog. Now the activist has gone to Prime Minister Narendra Modi himself with his Swachh Tirupati Laddus Abhiyan. Presently the Government and the temple authorities have a massive challenge ahead to come up with a set of solutions which can serve as a template and to impose food safety regulations for religious places without any delay as it deals with mass consumption. The time has come for change; sooner the better.